Lew Woodall meandered a long and winding pathway before finding his way to jazz. After playing rock, top forty, beach, and blues earlier in his career and ceasing to play completely for a period of 12 years; he has recorded 4 jazz CDs since he began playing jazz gigs in 2000. 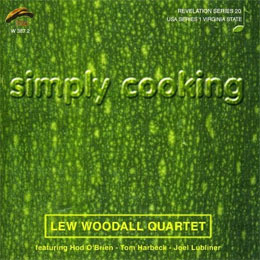 His 2008 and 2009 CDs Simply Cooking and Simply Cooking II, Second Time Around are produced and distributed by Paolo Piangiarelli of Philology Jazz Records. 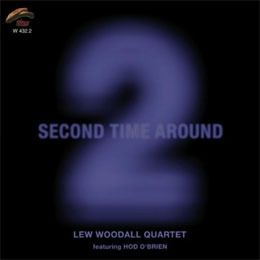 On these two albums, Lew is joined by renowned bebop pianist, Hod O'Brien, bassist, Tom Harbeck, and drummer, Joel Lubliner. 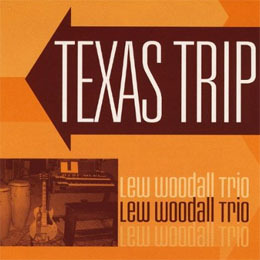 In 2006, Lew released Texas Trip which was recorded in Dallas and features old friend, John Bryant (former drummer for Ray Charles) and Dallas/Fort Worth Hammond B3 organ master, Tommy Young. Lew's first jazz CD, Kiss You Momma was released in 2002. 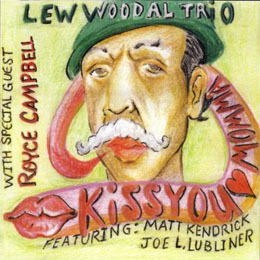 On this album, Lew shares lead guitar honors with renowned jazz player, guitarist, Royce Campbell. They are joined by Matt Kendrick on bass and Lubliner on drums. Lew's path to playing jazz may have been winding; but his path to loving jazz was short and direct. He was born in Bassett, Virginia on November 25, 1939. When he was 2 years old, his mother died and he and his sister went to live with grandparents in neighboring Patrick County. Living a farm life without the benefit of indoor plumbing or electricity did not deter Lew from developing an ear for jazz. He remembers, as a 5-year old, scanning the dial of the old dry-cell battery powered radio in search of jazz and Latin stations and listening to Glen Miller and others playing jazz in the forties. Music was a big part of Lew's childhood. One grandfather played the banjo and the other played the fiddle. He fondly remembers spending summer nights at the tobacco barn with his grandfather and enjoying the impromptu jams as neighbors gathered around with a variety of musical instruments. When Lew was 9 years old, he and his sister returned to Bassett to live with his father and new stepmother. He remembers entering a talent contest at the at the old Stone Theatre and winning first prize singing with his sister to his dad's jiving rendition of "Rag Mop". Lew often could be found strumming on his father's old Gibson guitar. The first song Lew learned to play was "A Kiss To Build a Dream On." He heard the song in a movie starring Mickey Rooney, remembered it, and went home and played it! He was 14 years old. When he was 18, Lew began playing guitar with Gene and the Teenbeats (later Teambeats). The group became fairly successful; playing 50's and early 60's music at various venues up and down the east coast including summer beach gigs. During his college years, Lew played with several different rock groups such as Soul Senders and Zany Antics in Richmond, Virginia. He paid his college tuition entirely with gig money. After finishing college in 1965, Lew served a tour of duty in the army in Vietnam. When he returned from Vietnam, Lew played occasionally with his brother, Lonnie, who became an accomplished blues guitarist. Lew married his wife, Shirley in 1971. Shortly afterward, they moved to rural western Virginia, purchased a farm, renovated an old farmhouse, gardened, tended sheep, worked in public health and education, planted blueberries, and raised a family. During the period from 1972 to 1984, Lew quit playing gigs altogether; placing emphasis instead on his family, farm, and work. In his forties he began playing again. He played with a top forty band, then with a beach band, and after that a blues band...all the time loving jazz and occasionally jamming with other jazz enthusiasts including saxophonist Chip McNeill, who was with the Jazz Studies program at nearby VA TECH at that time. Finally, in the year 2000, at the beginning of the millennium, at the ripe old age of 60, Lew began playing jazz gigs. Over the years, he has played and/or recorded with well-known musicians, pianist Hod O'Brien, guitarist Royce Campbell, drummer John Bryant, and McNeill. To date, Lew has recorded 4 Jazz CD's as a leader. His style can best be described as driving and passionate. He cannot read music and plays strictly by ear. Discovering tab chords has enhanced his resolve to evolve! Lew taught himself to play octaves in his early playing days and was blending octaves into his solos before he ever heard of Wes Montgomery. Lew's solos come directly from the heart. Lew and Shirley live on their farm in the Sinking Creek Valley of Craig County, Virginia. They grow blueberries, tend a garden, hike, canoe, and enjoy the natural beauty of the area. Lew is a runner and regularly enters races around the area. Life is good but Lew is not content without his music. He periodically ventures forth to share his guitar talent with those who appreciate great jazz and care to listen. To quote friend and renowned guitarist, Royce Campbell: "Lew Woodall is proof that one doesn't need a formal music education to be an accomplished musician. Lew is a talented musician with a great musical ear."